Honeymoon in cox bazar hotel is a real story for me. Please read the full story and know about largest unbroken sea beach. The experience of marriage is different from each other. Before marriage, I heard people are two types, living and married. Still, it is better to spend more time than to eat without being fed by Delhiika Laddu. The marriage experience is good for everyone, so do not talk about it. Today, instead of sharing my honeymoon experience. Unable to manage the leave from the office, we decided to make a honeymoon in the country. And there is nothing on Cox's Bazar to make honeymoon in the country. Ocean Paradise booked a hotel in the nets. I saw a 35% discount in the hotel on the Peak Season on the credit card of my standard chartered bank! The huge five-star Hotel Ocean Paradise has been built on two-cornered land on the west side of Cottage Bazar, Kolkata. The heavenly security barrier for tourists. Accompanying guests with a clean and quiet environment, one of the main destinations of the E-hotel is the A-Hotel. The noise around the hotel but inside the hotel, you get pinpoint silence. But listen to the cry of the waves and the fury of Shan Shan tune of Zauban. Without delay, one day I went to Cox's Bazar with a new wife. Unbelievers will not understand the joy of moving around a new wife in the longest beach in the world. I swept through the hotel swimming pool in the hotel. The pool is unique in a single way. After lunch, straight into the hotel room. Do not miss the next words either. It is not possible to express feelings of listening to the sounds of the ocean sitting in the rooftop terrace or sitting in the verandah in the afternoon. The hospitality of the hotel was fantastic. And there are so many discounts in lunch, dinner or pool in all the way that a good part of the bridegroom! Himchori, Cox's Bazar a wonderful popular tourist spot of Bangladesh. The next day I went to Himchari. There is no comparison between the longest sea beaches in the world by battery-operated easy bikes. Its natural scene is so impressed that the country does not have any regrets. I went to see the waterfall of Himchari. It seems as if I did not come to another country or to another country. The mountains, the fountains take a landscape of everything that takes place in the primitive world. I came back late in the afternoon. I say a secret talk for you cox bazar hotel is so gorgeous and the rate is high. But you can negotiate for the rate. I went to the Burmese Market in the evening. I did not have the idea that I could be so different. I have just listened to the day but saw that day. Just a lot of huge shops and small shops are very expensive. Then there are various types of products. From show-pech to clothes, do not have! And the price is also very cheap. I wanted to buy a Burmese leaf cigarette but could not afford for a wife. However, I came across a little bit of the city shopping for the whole house. Very nice clean city. Ideal place for tourists travelers is definitely. After returning to the hotel, I went back to the hotel. The next day I went to Inani Beach. The whole way of going to Inani is very fascinating. The coral reefs are seen in the early morning or early morning, but they are not seen because of the delay in the way. Inani beach is the tiger in the tourism sector of Cox's Bazar district is Inani. 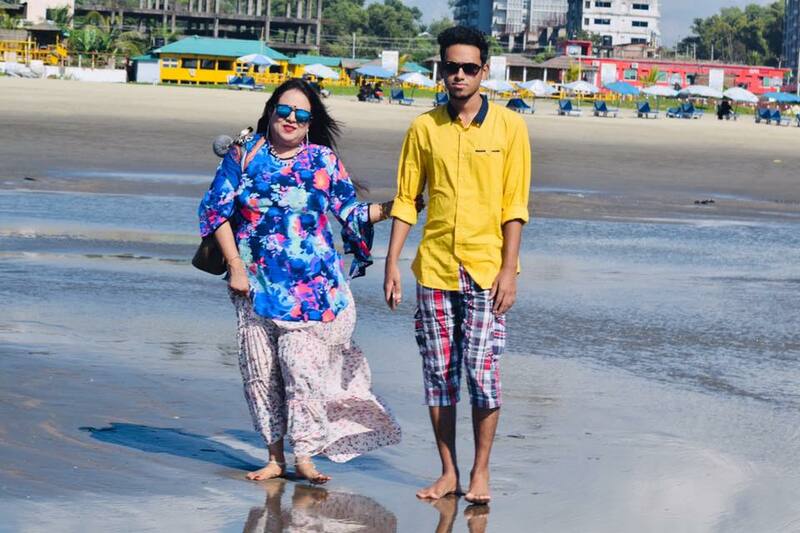 Cox's Bazar is the longest boy in the world. Inna Beach is one of the most beautiful, attractive and lightest beaches from Cox's Bazar to Teknaf, which is a hundred and twenty kilometers long beach. In the same way, Inani is said to be the land of nature. From Inan Beach to Teknaf, its natural coral and stone are sealing the sea from the breakdown of the sea. Again, these stones gave the Inan beach the extra beauty. 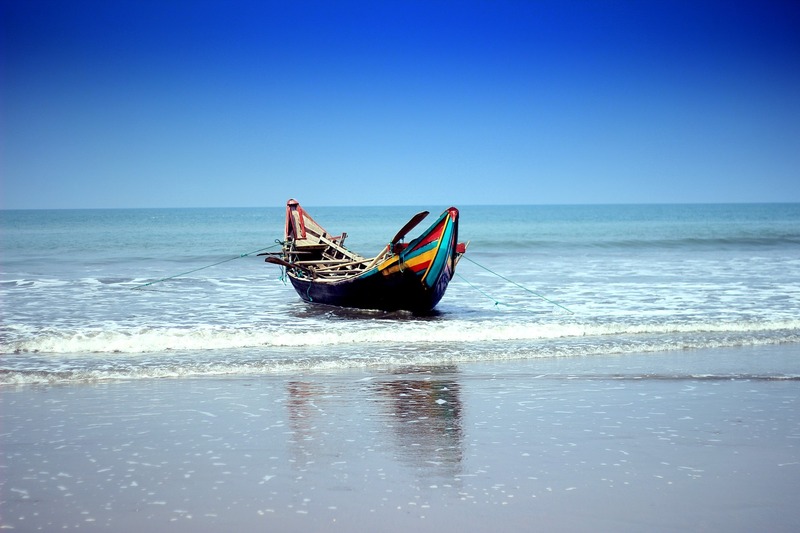 Inani Sea Beach located about 33 km south of Cox's Bazar city. Inani sea beach is now considered to be a beautifully decorated area of coral reefs. Ina once had to go to Cox's Bazar-Teknaf road with Sonarpara Adhapaka and a raw road. That time is no longer there. In 1992, by the Engineering Corps of the Bangladesh Army, the Teknaf-84km long marine drive road, from Kolatali built in any of the janes, can now go to Inani Sea Beach. There are many hatcheries of shrimp pona production in a scientific method. The queen row of betel leaf has kept Enani more glorious. A beautiful rest house in the forest department is once the only resthouse, but now there are many privately owned houses and hotel-motel-cottages. Tourists are comfortable enough to now enjoy the picnic in Inani Sea Beach. In the tourism season, tourists are forced to indulge in local picnics with the pressure of the crowd. There is no year where no school college organizes annual banquet and cultural events in the city of Cox's Bazar. On the way to Inani Sea Beach, the mountain ranges of Calcutta and the sea in the mountains of Banabanari heard the roar of the ocean, and the white rim of the sea, the row rows of Zhabbagan and the spectacular scenery of the district of Kaxabazar is different. Many picnic spots around the beach along with beach beaches are now a lot of alluring white spot for shooting movies and theater directors. However, the regret of not going to St. Martin is slightly wobbled. On the return way, I went back to the hotel to see the spectacular scenery. The next day you will go back to busy Dhaka, then only this remorse on the head. Aggmeda Khyang: an oversized Buddhist monastery, and an area revered by around 400,000 Buddhist people of Cox's Bazar; and also the Chittagong Hill Tracts. the main sanctuary is announced on a series of spherical timber columns. it's a prayer chamber and an auditorium together with a repository of large and little bronze Buddha pictures and variety of old manuscripts. Safari Park: Bangabandhu sheikh Mujib park is that the 1st park in Bangladesh. The nature of the forest is tropical evergreen and made with Garjan, Boilam, Telsur, and Chapalish alongside herbs, shrubs, and creepers. the park may be a declared protected space where the animals are kept during a fairly massive space with natural atmosphere and guests will simply see the animal whenever they visit by bus, automobile or on foot. This park was established on the basis of the South Asian model. This park locally calls dulahazra safari park. This park is AN extension of AN animal sanctuary situated on the Chittagong-Cox's Bazar road regarding fifty kilometers (30 mi) from Cox's Bazar city. The sanctuary itself protects an oversized range of wild elephants that are native to the area. within the park, there are domesticated elephants that are offered for a ride. alternative animal attractions include lions, Bengal tigers, Crocodiles, Bears, Chitals and plenty of various forms of birds and monkeys.which may be a marvelous project to attract the traveler. If you have a time or a new marriage, then come back to this natural beauty of Lilabhumi. Let's store some primitive beauty experiences. How can go there: by bus and by air from Dhaka.